2000 is the year this casserole entered my life. Visiting my cousin at college I found a Tupperware in his fridge. Jon and Andy Casserole is what my aunt called it, named after her sons. Since taking my first bite, I’ve spoiled my husband a few times a year with what we now call Crunchy Chili Macaroni Casserole! 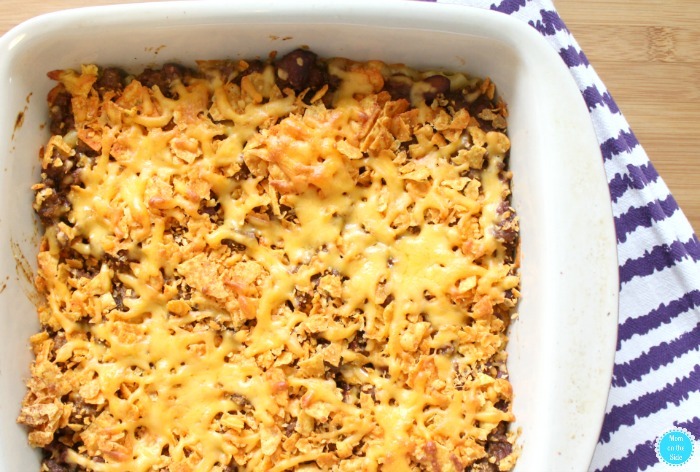 This dinner casserole is a lot of meat, cheese, and crunch. Five simple ingredients layered together for a deliciouness that’s even better reheated the second day! Macaroni and cheese, crushed nacho cheese chips, shredded cheddar cheese, and a pound of hambuger mixed with a can of chili. Meaty, cheesy, and crunchy. 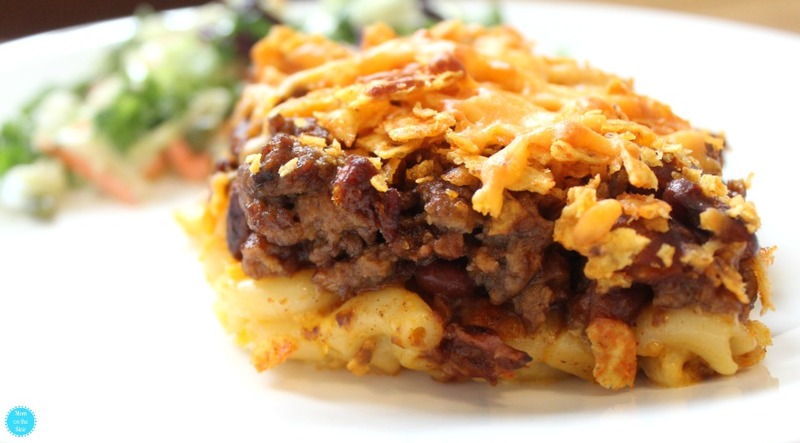 I’ve layered Crunchy Chili Macaroni Casserole a few different ways and our favorite layer is starting with macaroni and cheese on the bottom. It makes a great base so it’s easier to remove from the casserole dish. 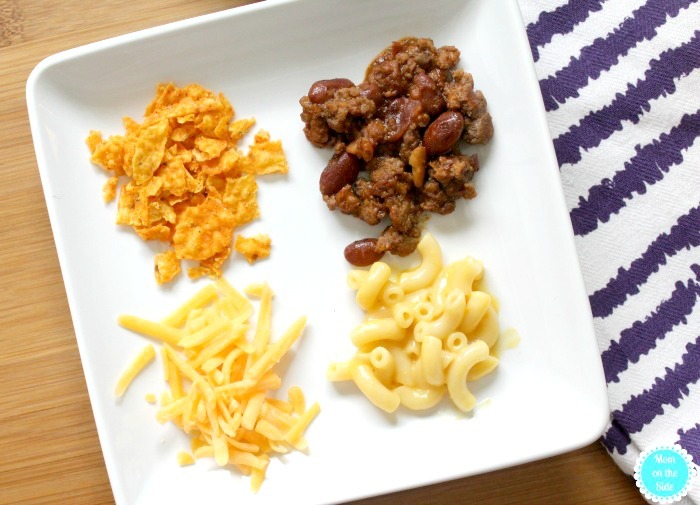 On top of the macaroni is a layer of crushed chips and shredded cheese followed by the hamburger chili mix. Finishing things off are the remaining chips and cheese for a nice crunchy cheesy topping. 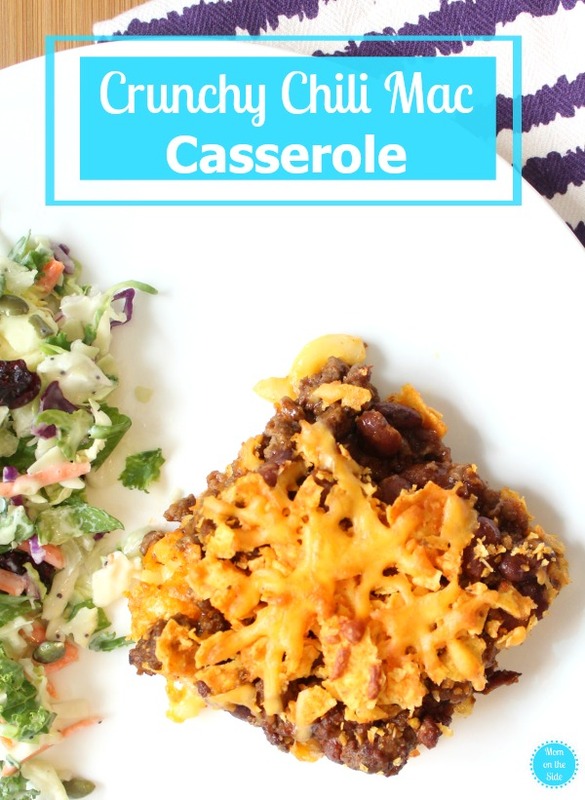 If you want an easy casserole for dinner that the whole family will love, give this Crunchy Chili Macaroni Casserole a try! However, they may not love the smell of it all cooking. Are your kids like that? Mine complain if dinner smells bad and won’t even try a bite. One way I combat that is by using smoke & odor eliminating candles. Life hack, they don’t just eliminate smoke odors but also help eliminate the odors of cooking! I found mine here but there are lots of great ones available. Pre-Heat Oven to 375 and get out an 8X8 casserole dish. Cook hamburger, and while it is cooking, start the water for the macaroni and cook as directed on the box. When the hamburger is cooked, stir in the Hormel Chili and heat through. Begin layering the casserole starting with the macaroni in the bottom of the dish, topped with 1 3/4 cups of Doritos and 1/2 cup shredded cheese. Top that with the hamburger/Hormel Mixture and cover that with remaining chips and cheese. Put in oven for about 15 minutes, or until cheese is melted. 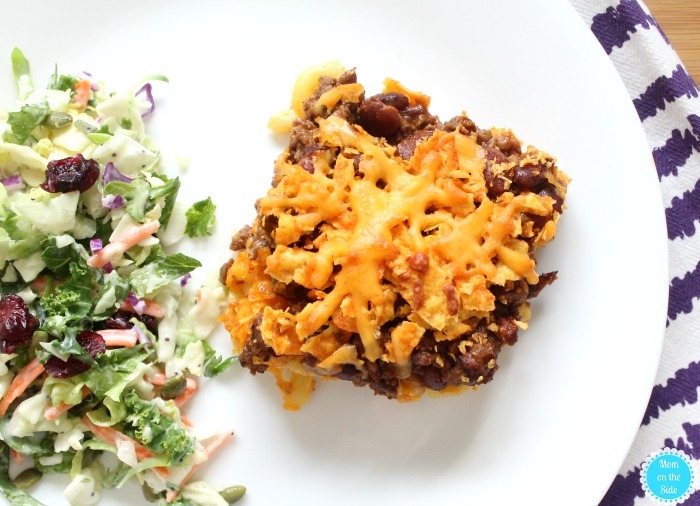 Pin this Crunchy Chili Macaroni Casserole to spoil your husband with later!